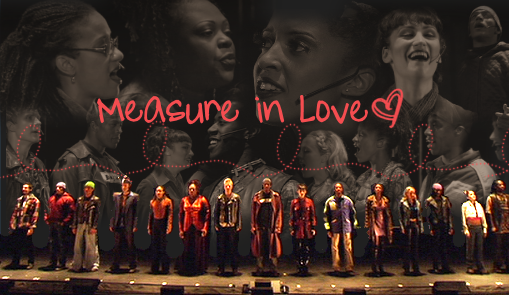 Welcome to Measure in Love, the one and only tfl-approved fanlisting for the song Seasons of Love from the hit Broadway musical Rent. If you're a fan of this song, please feel free to grab a code and join the listing! A huge thanks goes out to Sandra for letting me adopt this fanlisting! I am not affiliated with Rent in any way.